Occasionally installing LED replacement tubes in a ThinLite® brand of fluorescent light fixture causes the LED tubes to be dim and the supply wiring included with the replacement LED tube to get warm shortly after turning on the light. DO NOT LEAVE THIS LIGHT ON! Turn it off and take the following additional steps to complete a safe installation. Our experience has shown that with this brand of fixture, the simplest solution when installing a LED replacement tube, is to cut and tape the existing wiring going to the fixture connectors that comes from the ballast. Typically the wiring connected to one end of the tube ends has red colored insulation and blue colored insulation to the other end. By cutting the wiring the ballast is completely disconnected from the circuit and there is no further testing required. If for some reason you decide not to cut the wiring then following the following procedures may help in the proper installation of the LED replacement tube. On some RV 12” or 18” fluorescent lamps the wiring is reversed from the norm. What this implies is that the switch (either on the light fixture itself or the remote power switch) is switching on and off the Negative (-12V) or "Ground” side of the power supply rather than the more typical switching of the Positive (+12V) or "Hot” side. This may occur because the fluorescent fixture maker designed the fixture to radiate less disruptive interference that could affect nearby sensitive electronic devices, such as controllers for rooftop air conditioners. If the instructions followed in TechTip # 75 were followed, the LED replacements will usually light when switched "On”, although the light output will be less than maximum. The wiring harness supplying power to it may get hot to touch presenting a fire hazard. This will require some simple reworking of the wiring harness supplied with the LED tubes. One brand of fluorescent light fixture that may have the reversed connections is the ThinLite® brand. If for some reason you decide not to cut the wiring as mentioned above, then following the following procedures may help in the proper installation of the LED replacement tube. Use one of the following procedures to determine if your RV fluorescent light fixture is using the ground circuit to switch on the power. If you cannot confirm the wiring configuration, do NOT install the LED tubes! Wait until it can be determined which wiring configuration is used to control the existing fluorescent lighting for safety. After removing the light cover and the Ballast cover from the fixture, remove the wire (typically black in color) going from the Ballast to the fixture switch. Locate the area where the RV wiring enters the fixture by following the remaining wire on the switch back to the area where the RV wiring enters the fixture. 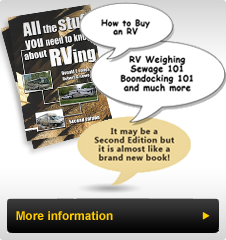 On some RV’s this may involve removal of the fixture from the ceiling or cabinet on which it is mounted. Locate the other wire and cut the supply (white) wire coming into the fixture from the RV wiring roughly 2” inside the fixture and carefully remove about ½” (1.2mm) of the insulation on the portion of the (white) wire coming into the fixture. Ensure that neither the wire nor any of the tools you are working with while completing this step touch exposed bare metal. Using a Digital Volt Ohm Meter (VOM) set on a scale to measure 20 Volts or more, connect the Black lead from the meter to the bare (white) wire. Locate the power source wire connected to the fixture’s power switch (usually black in color) going to the other side of the switch from the previously removed ballast wire. Connect the Red lead from the meter to this wire. Ensure that any remote light switch is turned on during this testing. Note the voltage reading. If you see a reading of Positive 12 Volts (+12V), then the wiring coming to the switch is switching the power in a conventional method and the procedure mentioned in TechTip #75 can be followed to make the LED connections. If the reading is Minus 12 Volts (-12V) then the power switch is switching the ground circuit on and off. This will require making a couple of changes in the wiring as noted below. Then simply swap the two power source wires at each fixture behind the mounting area and following the conventional wiring connections shown in TechTip #75. Ensure that the wiring going to the ballast has been disconnected before making this swap. This method of configuring the wiring may be simpler than cutting and reconfiguring the wiring in the harness supplied with the replacement LED tubes. The Red wire on the harness supplied with the LED has a slide on connector designed to connect to the ON-OFF switch on the fixture. Cut this Red wire about 2” (5 cm) from the connector and remove about ½” (1.2cm) of the insulation on each of the remaining Red wire and the cut off Red wire. Connect the short Red wire end to the typically White (or other) wire on the LED supplied harness using the wire nut supplied with the wiring harness to cover this connection. Tape this wire nut to the two connected wires to ensure a secure, insulated connection. Connect the remaining long Red wire from the harness to the previously bared RV supply (white) wire using the supplied wire nut. This connection should not require tape since the larger wire size of the RV power wiring will hold the wire nut in place. Slide the Red wire connector onto the fixture switch ensuring it is fully seated. Test the harness by connecting both new LED tubes to their wire harness connectors and turn on both the fixture power switch and any remote power switch. Both LED tubes should shine bright. Secure the tubes in the fixture ends and leave on for a few minutes, occasionally feeling the fine wire harness for abnormal high temperature. If the wiring is cool to touch after this test then turn off the power, remove the tubes from the harness and the light fixture. Route the new wire harness and existing wiring in such a way that the previously removed ballast cover can be reinstalled without damaging any of the wiring. Use one or two Zip or Wire Ties (not supplied) to manage the wiring. Re-install the ballast cover ensuring the two connectors for the LED tubes are exposed so that the wiring from each tube can be re-connected. After connecting the two tubes and installing them into the fixture, check to ensure that the LED’s are oriented to shine away from the fixture. The ends of the 18” style may rotate in the mounting to allow proper orientation of the LED’s. Reinstall the plastic lens cover after turning on the power switch(es) to test the light operation. When this completed work is completed on each Fluorescent light fixture you will have bright, low power consuming, cool lighting that should never need to be changed.